"We are living in a crucial epoch, a time of radical culture change and evolution. We need to prioritize the feminine values of poetry and beauty, of magic and soul. Eila's book shows us the way, her words weaving a watery and wonderful spell. Her affinity for water as the great primal connector and conductor of life force seeps out of every page and you will find yourself remembering ancient truths of belonging and destiny. If you are one who has come to re-imagine and create the world anew, you will find your own journey and soul illuminated and inspired with each page you turn. The world is aching for a new paradigm and this book is a delicious, intelligent and elegant feast for our hungering hearts." “The Other Side of the River is a lyrical personal narrative that runs in multiple streams and ripples of thought to one rushing river: Women's lives matter. Women's stories matter. Women's bodies matter. Women's voices matter. Women's health and the health of the planet are inextricably intertwined. It is gorgeous and also stunning in its complexity. As I read it, I kept thinking, "how did she do this?" How did she weave so many experiences and thoughts and insights into this one text that flows so powerfully together? As I sit down to write about it, I find myself at a loss for words. Go. Read it. It is a powerful book." "Really gorgeous. Unusually constructed narrative of a woman's winding life as viewed through her relationship with various waters of the world. I was enchanted by the writing style, the ebb and flow of the stories, the winding paths and insights, the complexities of thought and connection, and the thread of the goddess/sacred feminine weaving throughout. A book I won't soon forget!" 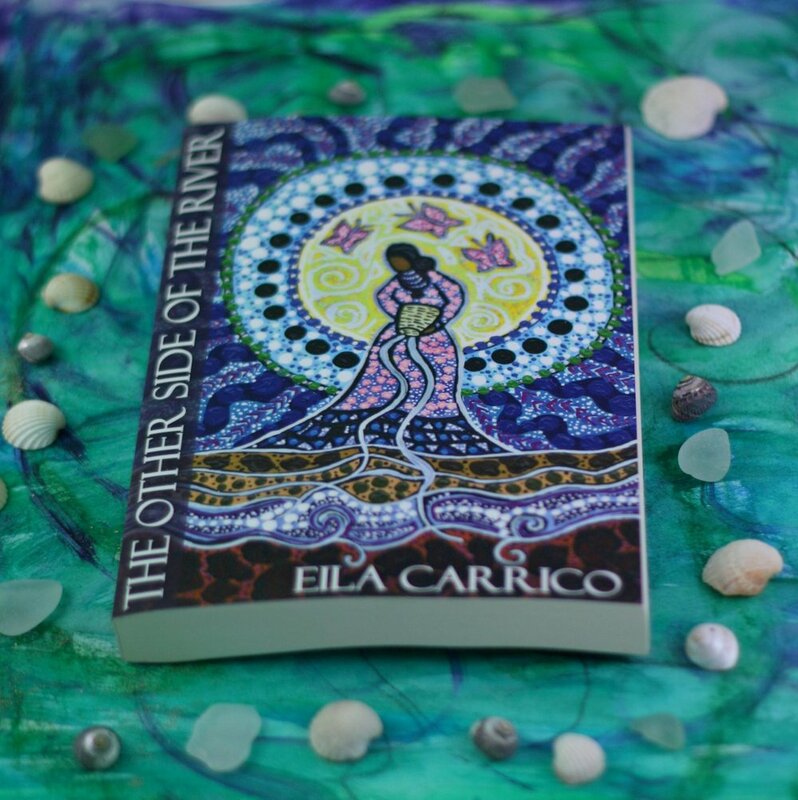 "Published by Womancraft Publishing, The Other Side of the River is not only a personal memoir, but a treatise on ecofeminism, ecology, and environmentalism. I discovered ecofeminism during my doctoral studies and have often returned to a phrase womb ecology reflects world ecology, world ecology reflects womb ecology. In this book we come to see how the damming of the rivers, the polluting of the oceans, the re-routing of the streams, reflects the stifling of women’s voices, the control of women’s bodies, and the oppression of women’s lives. "More than a story though, The Other Side of the River will take you on a journey of self-discovery where you too can further explore the need for us all, men and women, to open up into a fluidity of communication and co-operation and begin to take that paradigm shift towards the collective. Inter-woven within this is the river, travelling from its source all the way to the Mother Ocean. This powerful metaphor flows through every part of the book. Womancraft is definitely a publisher to watch."